When Eddie wakes up in his neighbor the judge's yard after a particularly vivid dream and no recollection of how he got there, the trouble begins. Someone or something has caused mischief in the judge's chicken coop, harming his prized rooster. No matter what Eddie says, the judge is convinced he is the culprit and must be punished accordingly. Given one day to find the true culprit before the punishment is bestowed, he meets Captain Mephisto, a magician with more that the standard tricks up his sleeve and possibly a demon on his back. 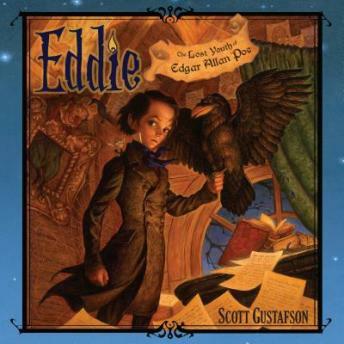 Guided by logic, but entranced by the poetry of the paranormal, Eddie solves the mystery but still manages to keep a few secrets that will serve him later in life. With the help of Raven and the prodding of a mischievous imp, McCobber, it is no wonder that Eddie becomes the man he does.